The first significant delay of the morning is developing on westbound Hwy. 36 in Roseville. A fender bender on the right at Hamline Avenue has traffic jammed starting at Dale Street. 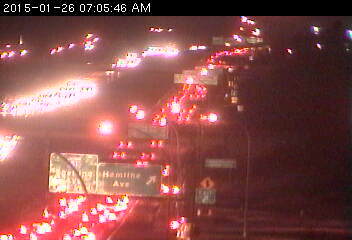 Things do remain heavy from Hamline over to 35W. Up in the Elk River-Otsego area, look out for a stall on southbound Hwy. 101 in the vicinity of County Road 42.